Gerri has played an integral part in the promotion and development of the beauty industry from the very beginning, having trained at Cannock College back in 1970, when the beauty industry was yet to take off. It has become an all-encompassing passion ever since working for Myram Picker Group Cosmetics (Gala, Mary Quant Outdoor Girl and Miners) in 1969. Following a successful career on the ‘shop floor’ and adding to a huge portfolio of qualifications, Gerri went on to play a vital role in developing the first National Vocational Qualifications (NVQs) in beauty therapy and aromatherapy, plus researching and developing new diplomas and certificates and developing the assessment guidance for vocational related qualifications (VRQs). Gerri set up a new section at Walsall College and was responsible for creating one of the first combined hairdressing and beauty courses, as well as running an annual hair, beauty and fashion show. 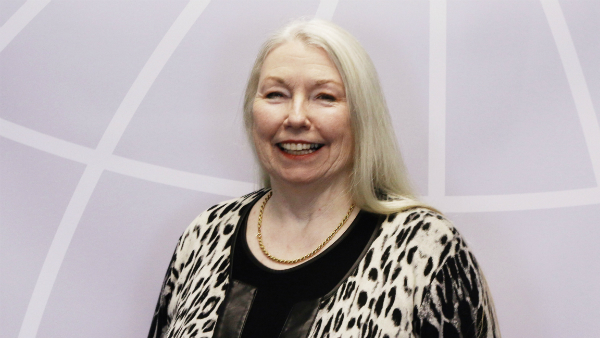 In more recent years Gerri has become a highly respected judge at numerous competitions as well as holding the prestigious position of Chief Judge at WorldSkills, having been involved with the original team in its development through FESC. Having worked as Head of Section, Hair and Beauty, and Assistant Faculty Head, she went on to work as a Training Director for Mercia products, where she developed a number of training courses and supported providing kits and products to colleges throughout the country. Gerri then developed her own training and development consultancy, offering courses in theatrical, media, photographic and TV make-up; customer service; personal development; motivation and teacher training. She travelled extensively around the country, advising colleges during the transition from examination to assessment and verification, whilst recruiting and training the first external verifiers (EVs) in the sector. She also developed the external, senior, regional, and chief verifier roles. Gerri is responsible for the development of many examination papers and external assessment papers, worked as an examiner for IHBC (International Health & Beauty Council) and marked papers for CIBTAC and City & Guilds. She is currently working as a freelance consultant to the industry as well as senior examiner for English Speaking Board and Sector Lead EQA for Innovate Awarding. She is a member of BSI (British Standards Institute) and CEPEC (European Confederation of National Aesthetic and Cosmetic Associations) and has actively been involved in developing European beauty standards, working as the CEN-approved liaison officer and travelling regularly to Brussels for meetings. During Gerri’s travels, she has always taken time out to visit salons and spas, as well as giving talks and demonstrations. She spent time in Singapore examining and encouraging the development of electrical treatments. Other countries include Ireland, USA, the Far East and Malta where she supported the development of many new schools. Gerri takes great pleasure in sharing her extensive knowledge and has been involved with college industry boards and acted as advisor to two universities. She will always support and encourage business growth and is proud of the achievements of her former students in becoming successful therapists, salon owners, lecturers and heads of departments in colleges.